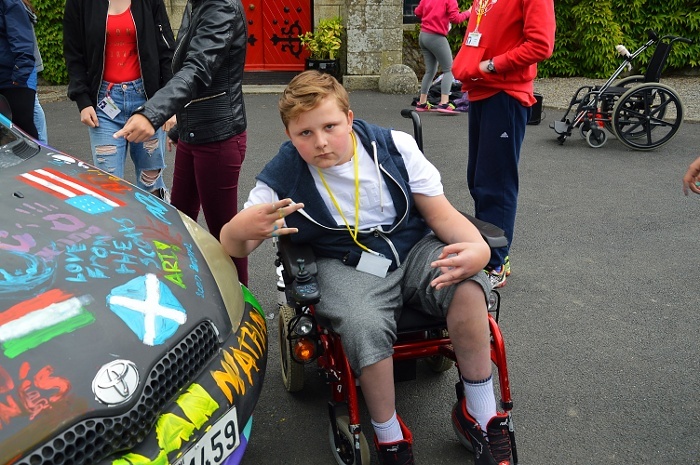 Fifteen-year-old Nathan, a camper at Barretstown in Ireland, lives with a rare disease called severe hemophilia A with inhibitors. This means that his body does not have enough blood clotting proteins to keep his muscles, joints, and tissues from bleeding, which can sometimes happen spontaneously. He receives treatments with clotting proteins frequently to prevent and/or stop the bleeding. For Nathan’s mom Lynn, who also has a younger son living with hemophilia, she is never at a loss for examples of how Nathan’s condition means that even the smallest childhood incident makes for an emergency. Something as simple as a nose bleed, a fall, or a bump on the head can result in serious pain, a disability, and even be lethal. Three years ago, Nathan was in a public restroom and he didn’t notice that the floor was wet from a leaking sink. He slipped and fell, damaging his right knee and causing an internal bleed that was so bad he now relies on a wheelchair. According to the National Institutes of Health (NIH), there are nearly 7,000 rare diseases affecting an estimated 300 million people around the world. While by definition each condition is rare*, it’s the enormity of the total population that is remarkable. With so many conditions needing specialized attention and research, the thing that is not shocking is that less than 5% of rare diseases have a treatment. SeriousFun Children’s Network’s camps and programs serve the needs of children living with a variety of rare diseases and their families. Among them, metabolic disorders like glycogen storage disease; rare hematologic diseases like aplastic anemia; rare genetic disorders like Gorham’s disease; and rare endocrine disorders like congenital adrenal hypoplasia, just to mention a few. 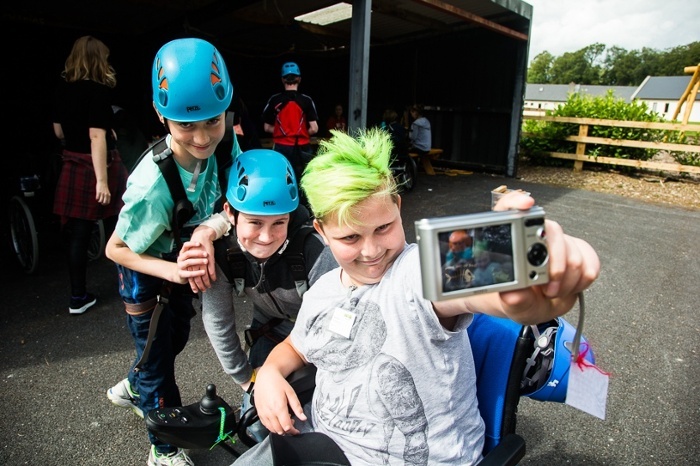 Camps that serve these conditions not only ensure that the medical needs of the campers are met, but the programming and activities offered take into account the challenges of that condition. When asked if she worries when Nathan is away at camp, given the severity of his condition, Lynn responds with a resounding “No, not down in Barretstown. 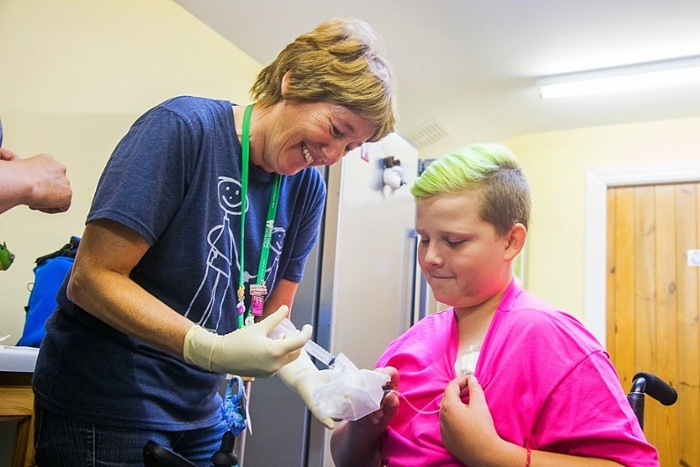 No.” She goes on to explain that over the last ten years, the whole family has gotten to know the camp staff , the environment and the procedures so well that it’s the one place they know Nathan is not only receiving the treatments he needs but the joyful experiences he deserves. *US: Those conditions affecting fewer than 200,000 people total; EU: Those conditions affecting fewer than 1 in 2,000 people. For more information on SeriousFun Children’s Network, visit www.seriousfunnetwork.org or contact us at info@seriousfunnetwork.org.